Thin dark chocolate squares with peppermint fondant centres. Perfect to share after dinner or indulge on your own! About the Suppliers: Divine chocolate is made with the best quality Fairtrade cocoa beans from Kuapa Kokoo, a cooperative of Ghanaian small holder farmers who own 44% of The Day Chocolate Company. This means they influence how the company is run and get a share of the profits. They are also ensured a guaranteed price for their beans and long term trading relationships which help them work their way out of poverty....that's fairtrade! Dark Chocolates 65% (Cocoa Mass, Sugar, Cocoa Butter, Emulsifier: Sunflower Lecithin, Vanilla), Mint Fondant 35% (Sugar, Glucose Syrup, Invert Sugar Syrup, Peppermint Oil). 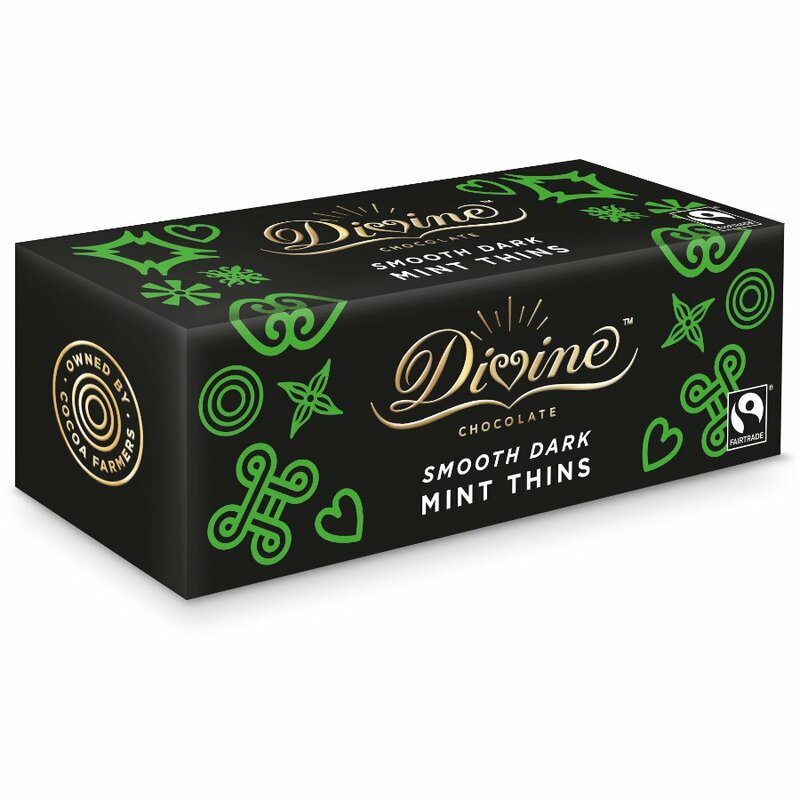 The Divine After Dinner Mint Thins - 200g product ethics are indicated below. To learn more about these product ethics and to see related products, follow the links below. A fabulous alternative to the leading brand, which tastes great but also feels great as has no guilt attached. Am totally converted to ethical divine chocoloate! Delicious! We always fight over these in our house! Is there soya or egg in this product? Q: I have recently started my new year diet to lose 14lbs in weight. Now, I do not want to give up my Divine after dinner mints altogether. Should I eat 3 mints daily without feeling guilty? it will be my only chocky treat. A: Hi there, happy new year! 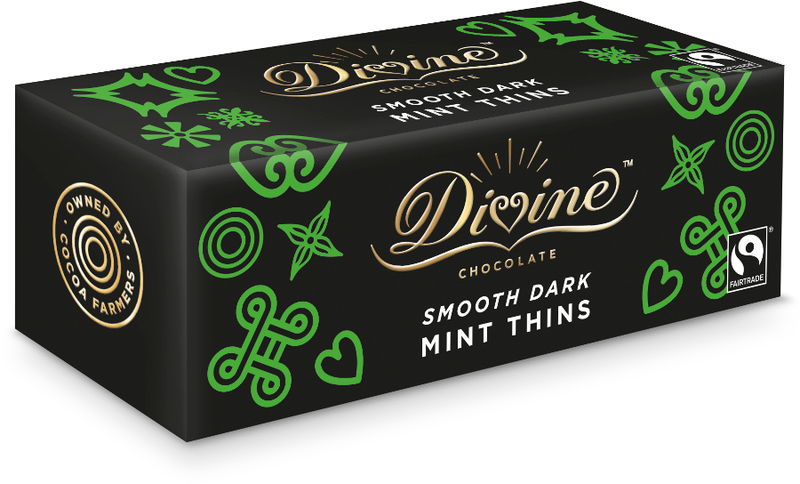 We think you shouldn't give up Divine After Dinner mints either. How about 3 a day, after the evening meal and then do 10 star jumps to make up for it? And then eat some fruit. You can't take away chocolate entirely!